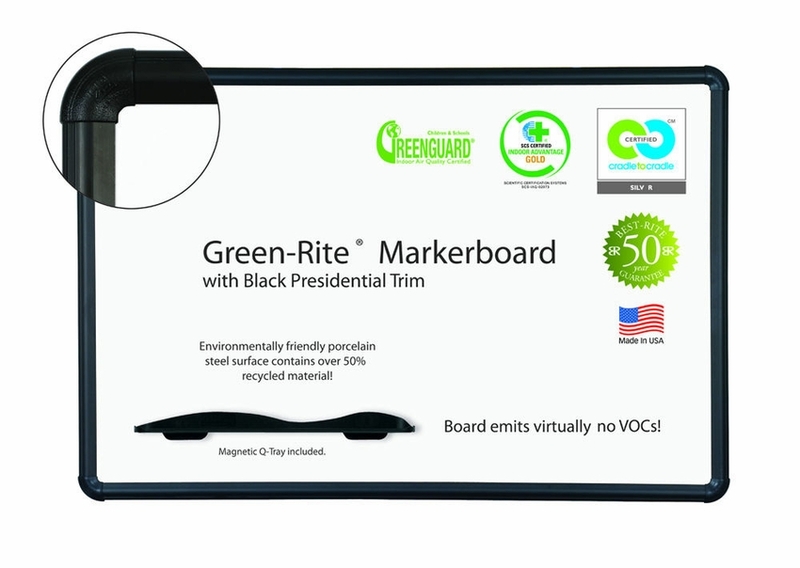 If you�re looking for Green-Rite Dry Erase Boards with Black Presidential Trim, you�re in the right place. 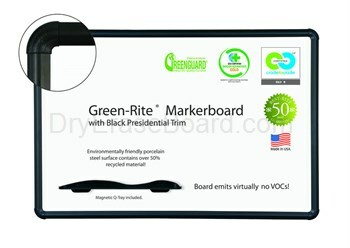 These environmentally friendly whiteboards are perfect for any space, from the classroom to the boardroom. Made from 40 to 55 percent renewable materials and featuring Dura-Safe end caps, this Class A fire-rated board is incredibly durable. It�s also TAA-compliant and comes with a 50-year guarantee. Dura-Safe end caps to keep classrooms safe. Constructed of 40-55% renewable materials to remain environmentally friendly. Class A Fire Rated board for durability. Peace of mind with TAA compliance, a 50 year guarantee, and GREENGUARD Gold certification, as well as Cradle to Cradle Certified Silver as well as Level 1 certified according to the ANSI/BIFMA e3 Furniture Sustainability Standard.